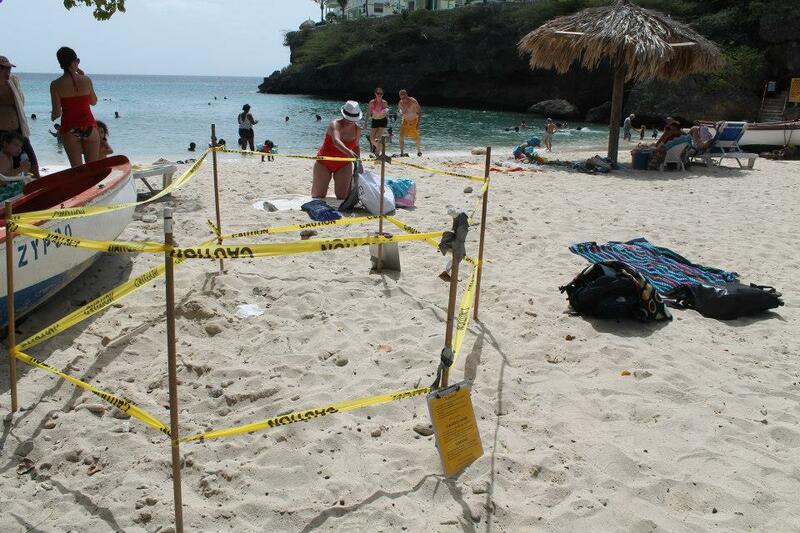 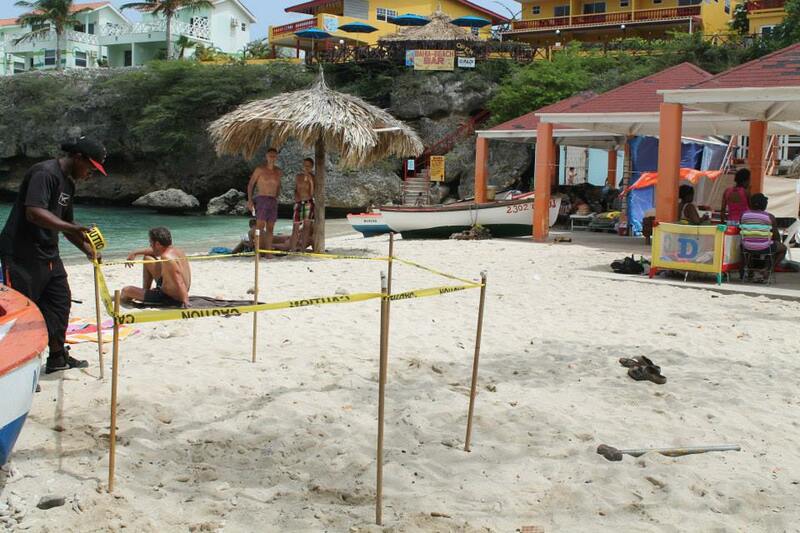 Hawksbill sea turtle digging nest on Lagun Beach in Curacao. 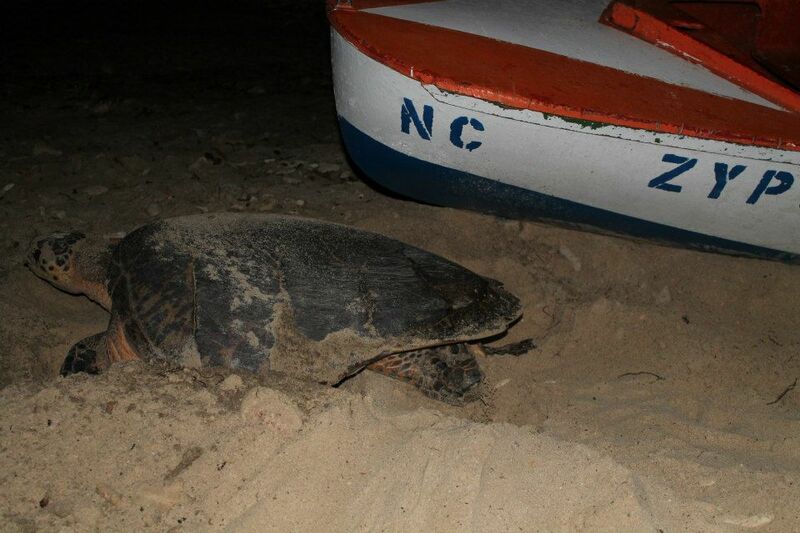 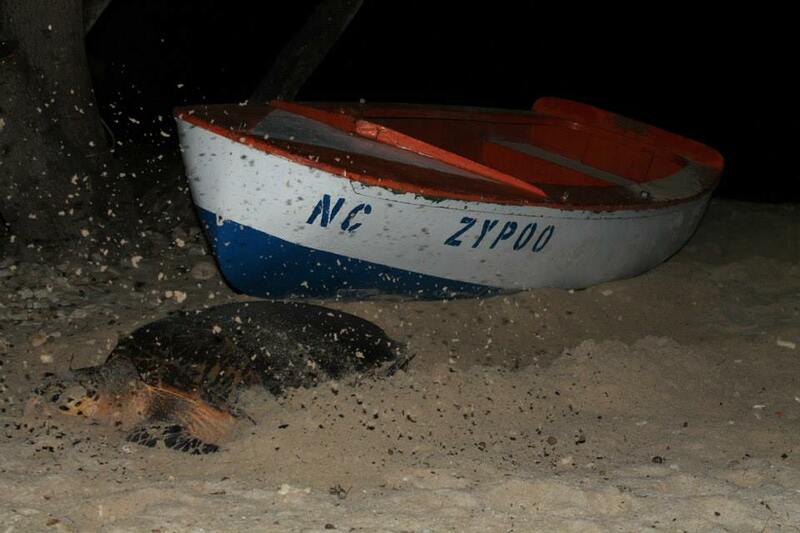 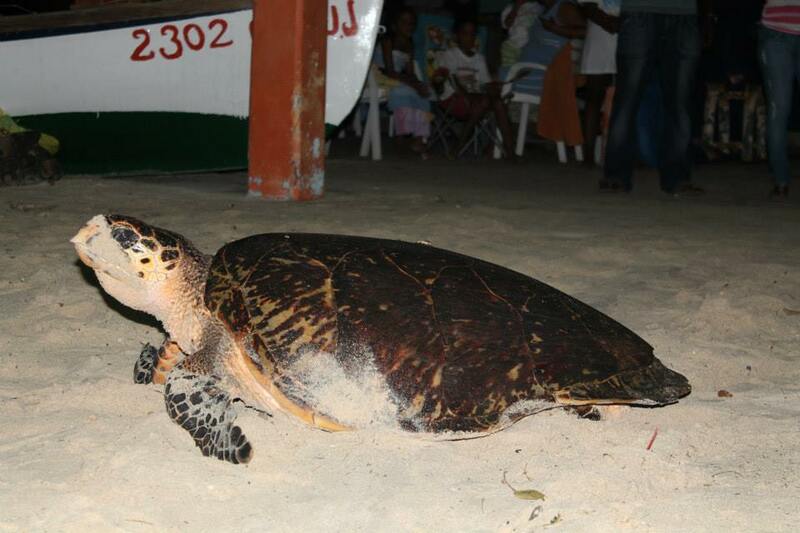 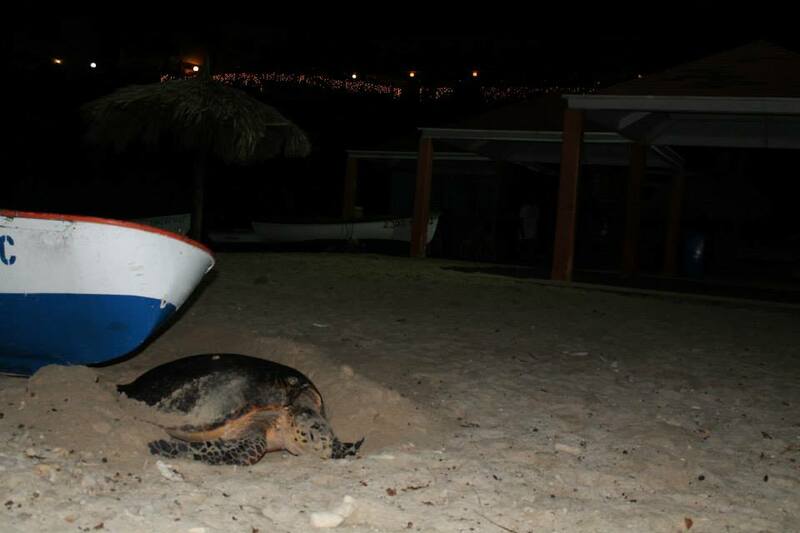 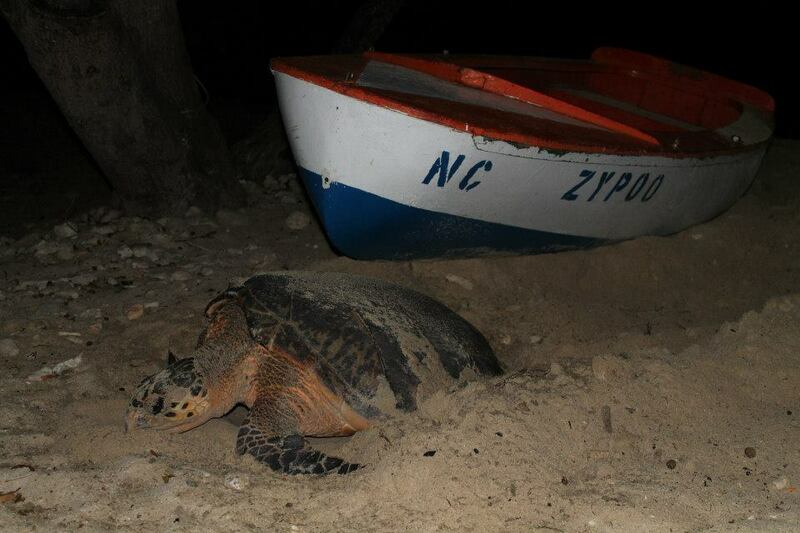 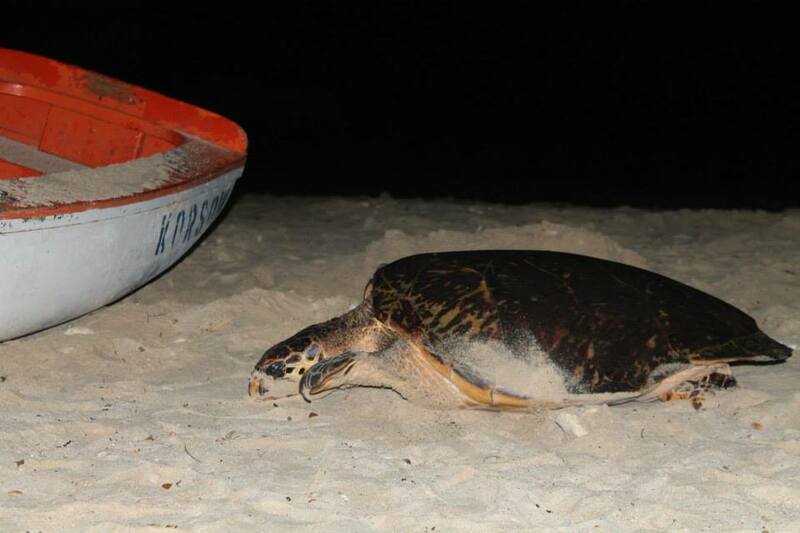 On August 3, 2013 at approximately 2 am a huge female Hawksbill Sea Turtle waddled onto Curaçao shore, dug a pit in Playa Lagun’s sand and proceeded to fill it with eggs. 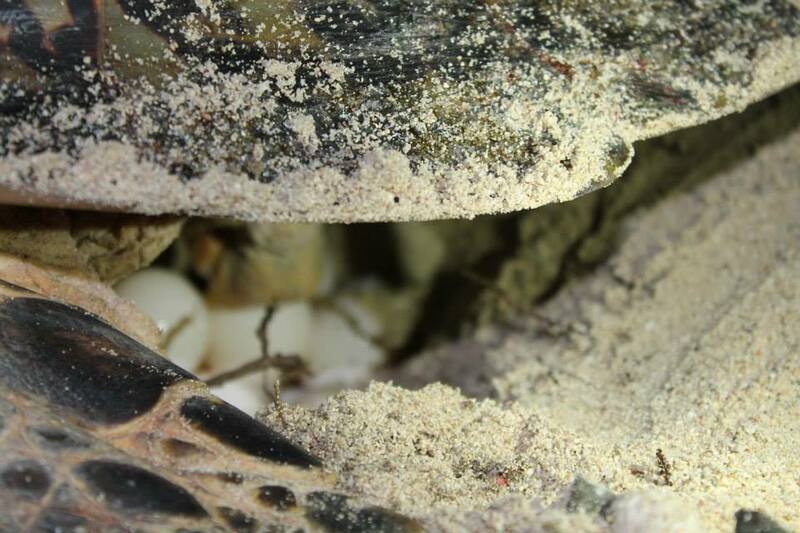 Her eggs will hatch in about 60 days. 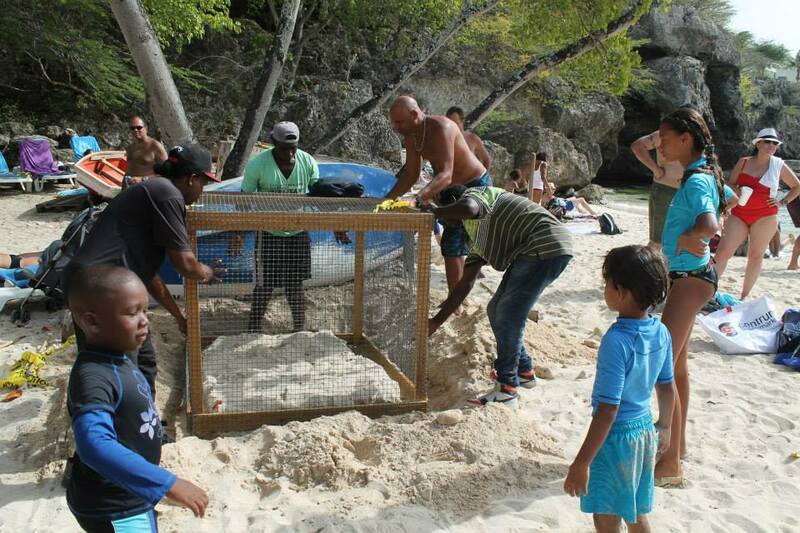 Curaçao’s CARMABI (Caribbean Research & Management of Biodiversity), the Government of Curaçao and Christoffel National Park Curaçao are determined to do whatever it takes to protect the eggs and ensure that her endangered hatchlings journey from their (sand) nest to the sea, safe and sound… guarding against crabs and flocks of gulls. 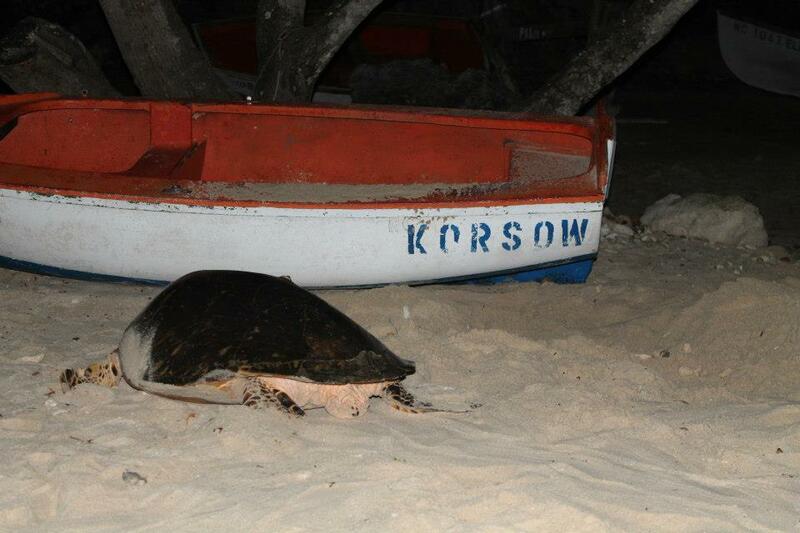 Special thanks to the team that secured the turtle eggs! 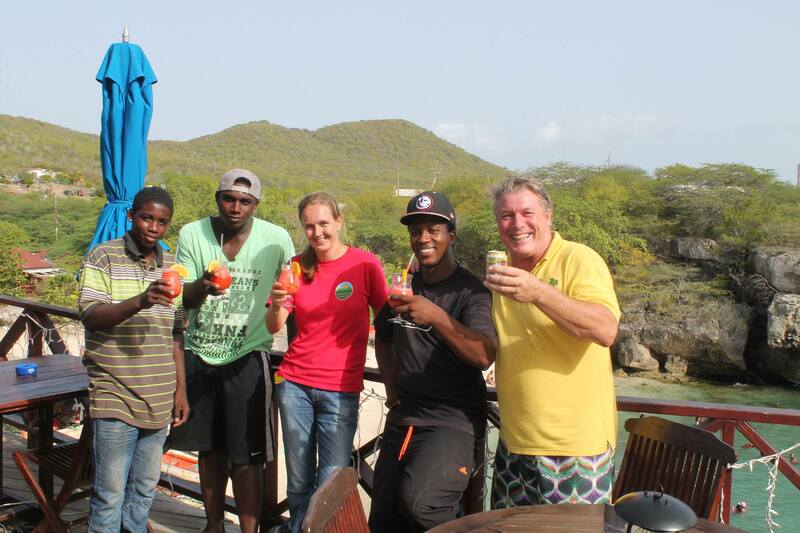 ALL PHOTOS TAKEN BY BAHIA APARTMENTS & DIVING.